Today I received word that Gaumard‘s new birthing manikin “Victoria S2200” has been successfully installed in the first of many simulation centers. Think of Victoria as the “2.0” version of Noelle – with features looking so lifelike you are sure to keep questioning if what you are seeing is actually a manikin. Victoria can simulate low and high risk deliveries with an endless variation of clinical presentations and she can do so with precise repeatability. The patented fetal delivery system, powerful control software and a library of preprogrammed scenarios combine to allow learners to resolve situations in a safe environment, improve performance in specific situations and gain valuable experience. As a manufacturing pioneer in realistic manikin skins, it’s no wonder that Gaumard continues to push our industry to new heights. I hope to see Victoria at ASPIH UK this November, and for sure at IMSH 2015 New Orleans! Carolinas HealthCare System, Carolinas Simulation Center, Charlotte, N.C. Introduced earlier this year, Victoria is the latest addition to the family of NOELLE maternal and neonatal care simulators. Victoria has a patented, precision life-like delivery and birthing mechanism that births a life-like, full-term baby with sophisticated monitoring capabilities. The Victoria system includes comprehensive clinical scenarios, including shoulder dystocia and postpartum hemorrhage. With articulating endoskeletons and silky smooth elastomeric skin, Victoria is the most realistic, fully tetherless and wireless maternal/fetal simulator for use in actual point of care training. Gaumard Scientific Company has designed, manufactured and marketed simulators for health care education for more than 60 years. Users worldwide – the military, emergency medical services, major teaching hospitals and nursing schools – recognize Gaumard products for their innovation in simulation in the pre-hospital, obstetrics and gynecology, surgical and nursing care segments. In 2000, Gaumard launched the revolutionary family of NOELLE maternal and neonatal care simulators that changed the way training is conducted. In 2004, Gaumard pioneered the use of fully tetherless technology with the introduction of the family of HAL simulators. 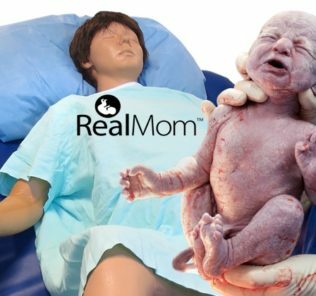 In 2014, the company introduced Victoria™, its most advanced, mobile maternal/fetal simulator as part of the NOELLE family. Gaumard manufactures its products at its world headquarters in Miami. For more information, visit Gaumard’s Victoria Page!